Understand how Agile projects are organised using leading Agile development and testing practices. Learn fundamental Agile testing principles, practices and skills to excel in Agile environments! Want to learn about the fundamentals of testing in Agile projects? In this extension course, you will gain an understanding of how Agile projects are organised. You’ll also learn commonly applied development practices, differences between Agile and traditional approaches, and commonly used testing tools. By the end of the course, you will recognise how testers are positioned in Agile organisations. You will also be able to effectively estimate and organise testing, as well as apply risk-based testing in Agile projects. Testers looking to accredit their Agile skills for recognition among employers, clients and peers. EXTRA COURSE INCLUSIONS: Our Pass Guarantee, Exam Revision Questions, Career Assistance Program (CAP) and other Agile goodies are just a few of the extra inclusions you receive when training with Planit – the leading provider of ISTQB® Accredited Certified Agile training. View our full list of extra inclusions. "The course was well paced and interesting. It was thorough and delivered concisely." 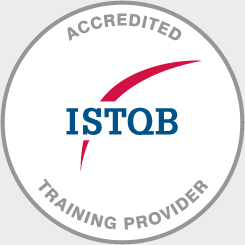 The ISTQB® Foundation Agile Tester examination is a closed book, 40-question multiple choice exam. Candidates must score a minimum of 26 to obtain certification. The examination is sat separately from the course and is independently administered and assessed.